The saddle feels soft, yet strong and firm. The cowboy’s deep breath inhales the smell of fresh morning air. He lifts the saddle over the horse’s back, and in its wake it leaves behind the strong smell of leather and horse sweat. The old, worn saddle settles onto the horse’s withers with a familiar squeak. Oh, if this worn saddle could talk, it would spin tails and weave stories that might be hard to believe. Age and wear reveal the many days of riding and the bend of the fenders knows the length and leg of its cowboy. Cowboys care for their saddles in a familiar way. They know its strengths and weaknesses and are always working on the latter. Because weaknesses, left unattended, could be costly in more ways than one. Although some cowboys are more daring, live-on-the-edge types, most don’t relish the thought of their horse coming uncorked and leaving them in the dust. When a horse loses its cool, it usually happens in the unexpected blink of an eye. As the wreak is underway, the weaknesses in saddles, bridles and joints are tested and their true strength is revealed. These wrecks prove the previous, diligent care of the saddle is expected and relied upon. Although the saddle looks worn, its been oiled and maintained diligently. This saddle has been waiting for the day when it would be tested. The book feels soft, but there is a strength and a firm resolve that emanates from the cover. Each page crinkles as they turn and some pages are stained with coffee, many loose in the spine. The brown cover is ripped and frayed, the gold lettering on the front faded and rubbed smooth. Flipping from front to back reveals pages and pages of notes jotted along the edges. Yellow highlights are found on almost every page. This book, this Bible, talks. When the pages are open, the stories unfold: fencing, fighting, torture, revenge, giants, monsters, chases, escapes, true love, miracles…Nothing laid out from Genesis to Revelation seems plausible, unless it’s truth. And truth isn’t found unless the Bible looks worn and weathered. 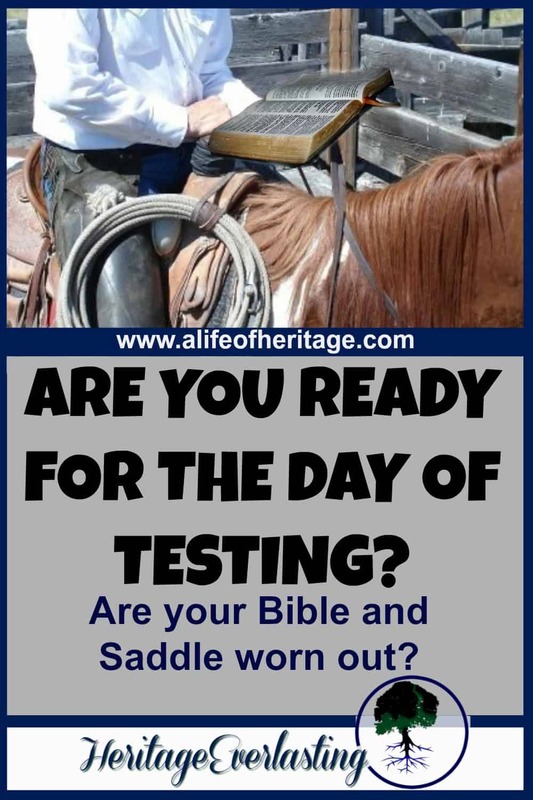 Cowboys, and any man or woman claiming this Way, will care for their Bible in a familiar way. The stories that dramatically unfold within its pages will be written on their hearts and ready to be spoken in any season. These ever-present Words reveal strengths and weaknesses. And they mysteriously give the strength and ability to know how to work on the weaknesses revealed. It’s true that living on the edge is so…human. We all so easily walk as close to the edge as possible, willing to let the world sink in just a bit too much. Satan is waiting and reveling in the idea of dumping everyone confessing Jesus on their heads and it can happen in the blink of an eye. During these moments of testing, weaknesses and true strengths are revealed. Although the Bible looks worn, it has been oiling and maintaining the life and character of the one reading its words. This Bible has been waiting for and preparing its readers for the day when they would be tested. That day of testing will come. Its inevitable and no one is immune. The state of your saddle will reveal how much you ride and how well you care for it. The state of your Bible will reveal how much you read it and how well it has been caring for your heart and character. 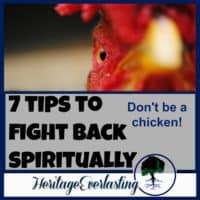 When nothing is working as it should, when your convictions are pried upon, and when you are facing new territories in life, how do you respond? When the wrecks of life are unfolding it is so easy to only then turn to the Bible and expect it to oil and maintain as if it had been doing so all along. 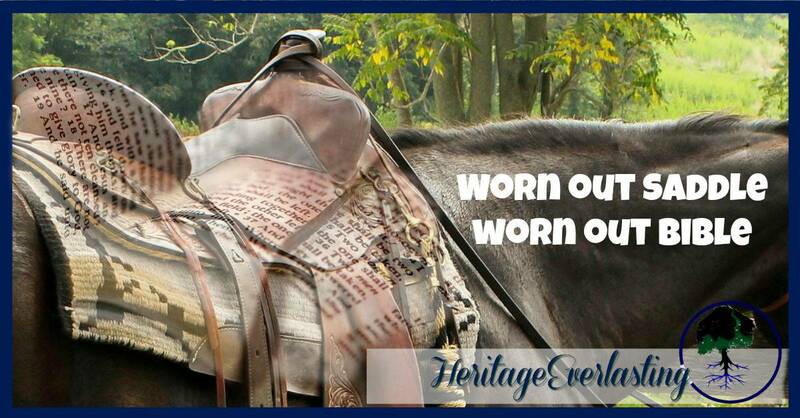 Wear out that Bible. When life is trotting along at a good pace, it will prove over and over to give you the ability to handle the sudden humps life throws at you. Never turn to God and the Bible expecting that life will suddenly be perfect and lacking any discomfort. No, this can never be. The presence and word of God will be the sustaining force behind your attitude, actions and ability when life falls apart and feels insurmountable. Turn to Him always: during the smooth long trot of life and while hanging upside down, hung up in the saddle of unexpected frustrations. You won’t regret it. How do you care for your saddle? And how is your Bible working in your life this year? What do you think? 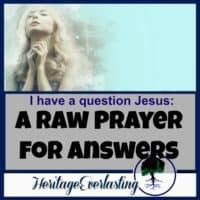 Does God Care About My Dreams? Get access to 25+ resources to help you gain confidence, save time, stay organized and restore hope. Your password protected page will be updated on an almost weekly basis and weekly emails from A Life of Heritage will keep you in the know. 🙂 We want to bless YOU with this information! « Do You Have What It Takes To Be a Cowboy?